SparkFun is proud to partner with students, makers and hobbyists to support their work through the donation of hardware and expertise. We believe that sharing great ideas, inventions and initiatives helps the global maker community continue learning and innovating. Here are just a few of the individuals and organizations who have become SparkFun Community Partners. We look for partners who embrace the values of open source, collaboration, playfulness, learning at all levels and making the world a better place. Do you have a great cause, a great need and a great story? In February, Merlin’s Magic Wand USA, a registered 501c3 whose mission is to put the magic back into the lives of children facing challenges of serious illness, disability or adversity launched their seventh U.S. Merlin’s Magic Space in Dallas, Texas. This project supports the work being done by Bryan’s House, an organization that serves children facing special needs and disabilities. Merlin’s Magic Wand USA operates on the belief that every child deserves to laugh, enjoy life and cherish memorable experiences. It is our mission to enable them to access the magic of Merlin Entertainments. Merlin’s Magic Spaces is an outreach project designed to ensure that children who are prevented from visiting our attractions due to severe illness, physical disability or other exceptional circumstances still have the opportunity to experience the unique magic of Merlin. LEGOLAND Discovery Center in Dallas/Fort Worth partnered with Merlin’s Magic Wand USA to do just that --- ensure the children supported by Bryan’s House had the opportunity to enjoy the magic of their attraction, despite their being unable to attend the attraction themselves. 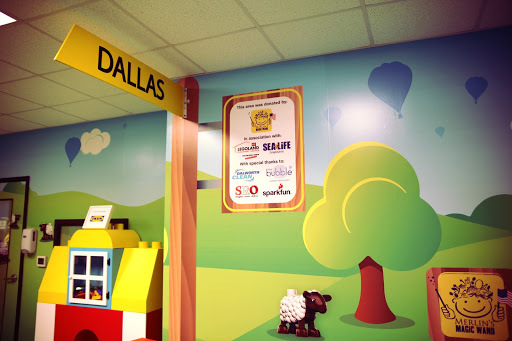 Merlin’s Magic Wand USA and LEGOLAND Discovery Center Dallas/Fort Worth selected a room used by Bryan’s House for physical and occupational therapy sessions for children ages 5 and under and turned it into a DUPLO-themed space. From the beginning stages of the project, the idea was to install a touch-activated sound wall where the children could hear sounds of the farm animals within the countryside theme of the space. To accomplish this, we discovered the Bare Conductive products, and reached out to SparkFun for a donation through their Community Partnership Program to bring this element of our unique space to life. Using the Bare Conductive electric paint, Bare Conductive Touch Board and some copper tape, we set out to install seven touch points onto a wall that would be covered with a vinyl wall graphic featuring a cat, cow, chicken, sheep, horse, farmer and train tunnel. After painting out the seven points and connecting them to the touch board using the copper tape, we were met with a slew of challenges. Unfortunately, the further our touch point was from the board, the less likely our touch point was to activate the sound from the board. 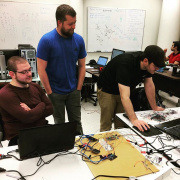 We were able to reach out to SparkFun’s Technical Support Team for assistance, which was great, despite the fact that we were still unable to get the effects to work. It was determined that the resistance on the copper tape was too great to make it the full length of the wall, and in the end, the vinyl graphic served as an insulator. It was time for Plan B. 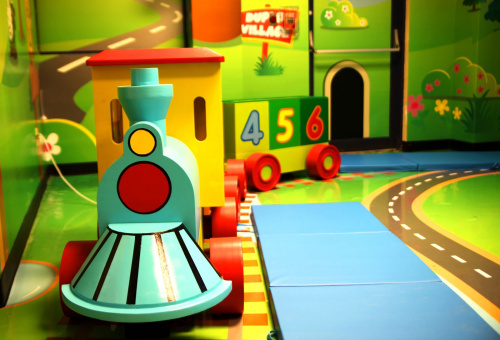 The space included a DUPLO train interactive, which became the new focal point for our touch/sound interactive. Using the same paint, tape, and touch board, we were able to successfully install a touch point on the front of the train so that when the children touched the train they would hear the train whistle. The train quickly became hugely popular with the children, and Bryan’s House has already seen a significant improvement in the therapy sessions that are conducted in the space. Merlin’s Magic Wand USA plans to reimagine the wall interactive into an interactive table that will create the same effects as were planned for the wall. Merlin’s Magic Wand USA, LEGOLAND Discovery Center Dallas/Fort Worth, and Bryan’s House are all extremely thankful to SparkFun for their support of this amazing project. Do you have a great cause, a great need and a great story? 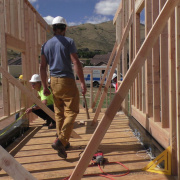 Apply for our Community Partnership Program today! Zachary Brumley is the Charity Champion for Merlin’s Magic Wand USA at LEGOLAND Discovery Center, Dallas/Fort Worth. For the past seven years, he has been helping deliver magical experiences to thousands of children facing the challenges of serious illness, disability and adversity by organizing magical day-out visits and local outreach events.